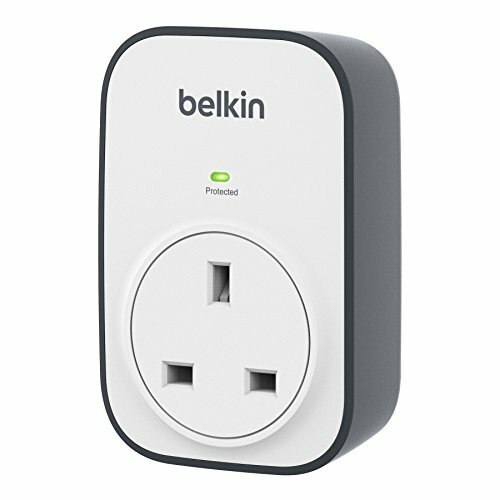 The plug in timer switches have been specifically designed to bring automatic time control of economy, security, and comfort in domestic and commercial environments. The switching can be used with a wide range of electrical appliances around the home or to protect your property when you are out by switching on a light after dark. Choose from four different type of timers to perfectly match your needs. Digital 24 Hour 7 Day Timer is very simple to use allows you to set a great number of program schemes. 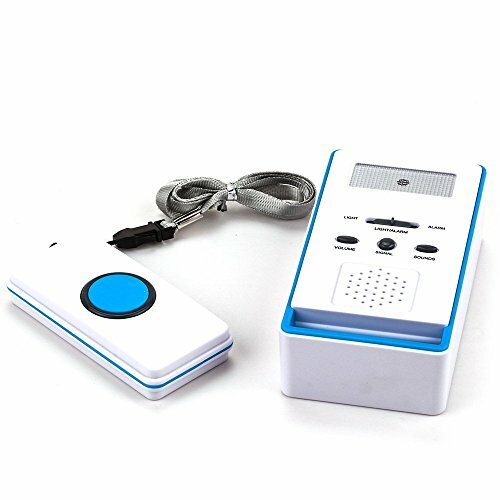 It features 10 ON/OFF programs with 1 minute step, manual ON/AUTO/OFF functions, 12/24 hour modes, large LCD display with seconds, summer time function, random function, 16 combinations of day or blocks of days and memory back-up battery. 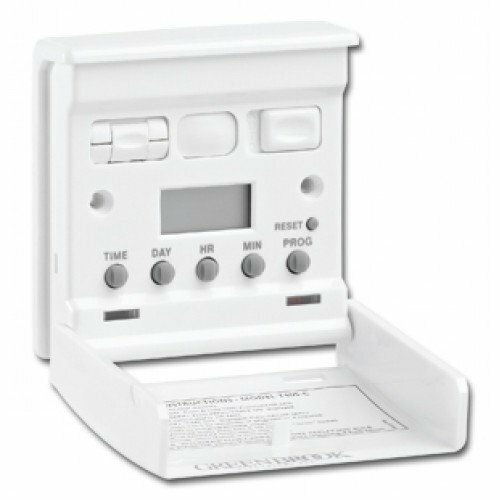 Digital Square 24 Hour 7 Day Timer: features 10 ON/OFF programs with 1 minute step, manual ON/AUTO/OFF functions, 12/24 hour modes, large LCD display with seconds, summer time function, random function, 16 combinations of day or blocks of days, memory back-up battery and a very compact size. 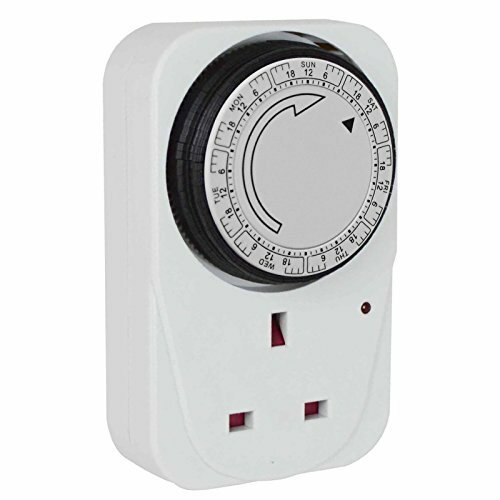 Mechanical Square 24 Hour Timer operates with permanent on/off easy to set segments (no awkward pins to locate) and features a manual override switch and a very compact size. 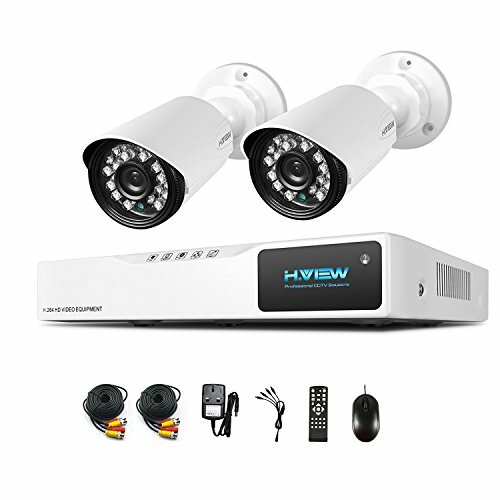 Each segment runs for 15 minutes and allows you to set the timer for different times during the day/night and for different lengths of time. Mechanical 7 Day Timer operates with permanent on/off easy to set segments (no awkward pins to locate) and features a manual override switch. Each segment runs for 2 hours and allows you to set the timer for different times during the day/night and for different lengths of time on any day of the week. Please Note: Not suitable for fluorescent, low energy or discharge lamps, dishwashers, washing machines and water heaters. Do not immerse timer in water or any other liquid.